Chemical Industry Insight: Global Fumaric Acid Market To Exceed USD 764.8 Million By 2020 : Grand View Research, Inc. Global Fumaric Acid Market To Exceed USD 764.8 Million By 2020 : Grand View Research, Inc. Global Fumaric Acid Market is expected to reach USD 764.8 million by 2020, according to a new study by Grand View Research, Inc,. Increasing convenience food demand coupled with growing middle class per capita disposable income in Asia Pacific and Latin America is expected to drive the global fumaric acid market over the forecast period. Introduction of ethnic and exotic flavors by food & beverages manufacturers is also expected to prompt demand growth. Stringent environmental regulations in order to reduce green house gases (GNG) emission is expected to remain a key challenge for market participants. Food & beverages was the leading application segment and accounted for 34.3% of the total market volume in 2013. Fumaric acid is used as an acidulant in food & beverages owing to its properties such as micro-organisms growth controller, pH modifier and flavor enhancer. Food & beverages is also expected to witness the highest growth rate of 7.0% from 2014 to 2020. Unsaturated polyester resins (UPR) are expected to witness moderate growth rate over the next six years. Increasing construction spending coupled with increase in automobile production particularly in China, India, Indonesia and Thailand is expected to augment fumaric acid demand for UPR. · Global fumaric acid demand was 233.3 kilo tons in 2013 and is expected to reach 346.2 kilo tons by 2020, growing at a CAGR of 5.9% from 2014 to 2020. · Asia Pacific was the leading regional market and accounted for 61.5% of the total market volume in 2013. Asia Pacific is also expected to witness the fastest growth to continue its dominance in the global market over the forecast period. European market is expected to exceed USD 80 million by 2020, growing at a CAGR of 4.6% from 2014 to 2020. · North America is expected to grow at an estimated CAGR of 5.4% in terms of revenue from 2014 to 2020. 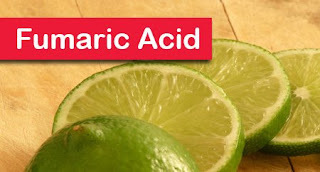 U.S. is the leading fumaric acid consumer in North America. Increasing convenience food demand coupled with growing health consciousness among consumers is expected to drive the regional demand. · Global fumaric acid market is moderately concentrated fumaric acid with companies such as Prinova LLC, Bartek Ingredients, Polynt S.P.A and Prinova LLC being market leaders. Other key companies operating in the global market include Thirumalai Chemicals, Dastech International Inc, The Chemical Company and U.S. Chemicals LLC.